The Ultimate Saltwater Fishing Charters in the Galveston / Surfside Beach area. Go deep sea fishing on one of our 30 or 32 foot Twin Vee Catamarans. 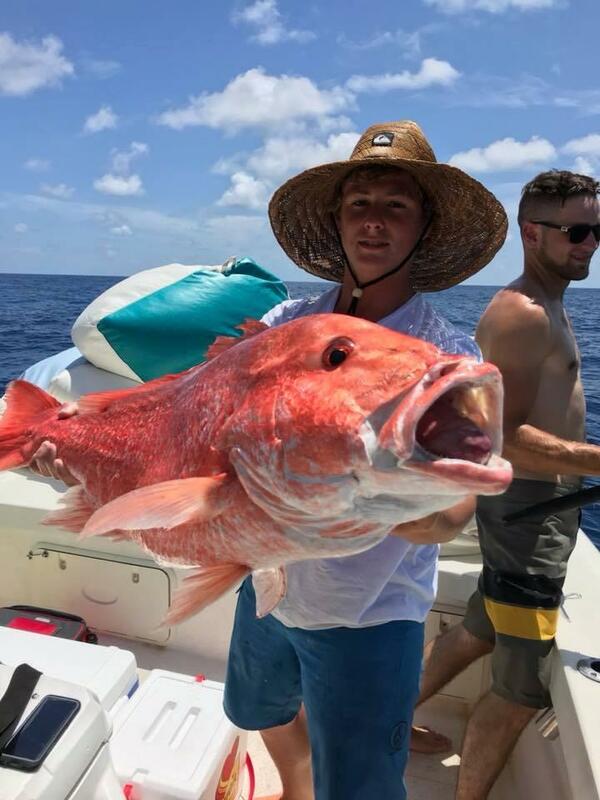 Fish for red snapper, shark, king mackerel, tarpon, mahi mahi and many more fish the gulf has to offer. With Texas Deep Sea Fishing starting at $750 for 1-4 Anglers. Our saltwater fishing charters leave from areas like Galveston, Freeport and even the beautiful Surfside Beach. To top it all off, we also have an unforgettable guest house located right on the canal in Surfside Beach to help put the perfect cap on your incredible day. 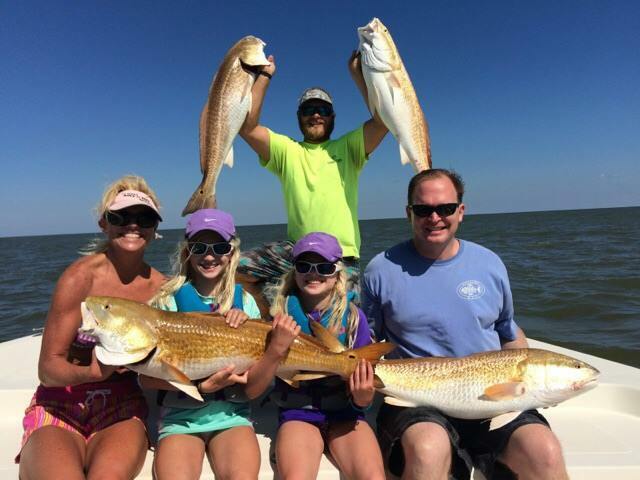 All you have to do is book your stay in our lodge and our Galveston fishing guides will pick you up right at the dock when you’re ready to start your trip. Please note that all trips require a proper Texas Fishing License for participants over the age of 17, as per the Texas Parks and Wildlife Department. 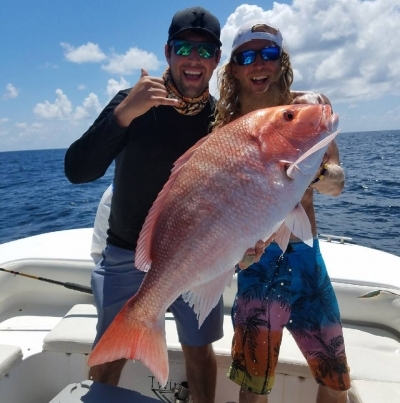 When you book a fishing charter with our fishing guides, you get to enjoy not only the experience of Captain Leaf, but also one of the most impressive fleets available anywhere in the state today. 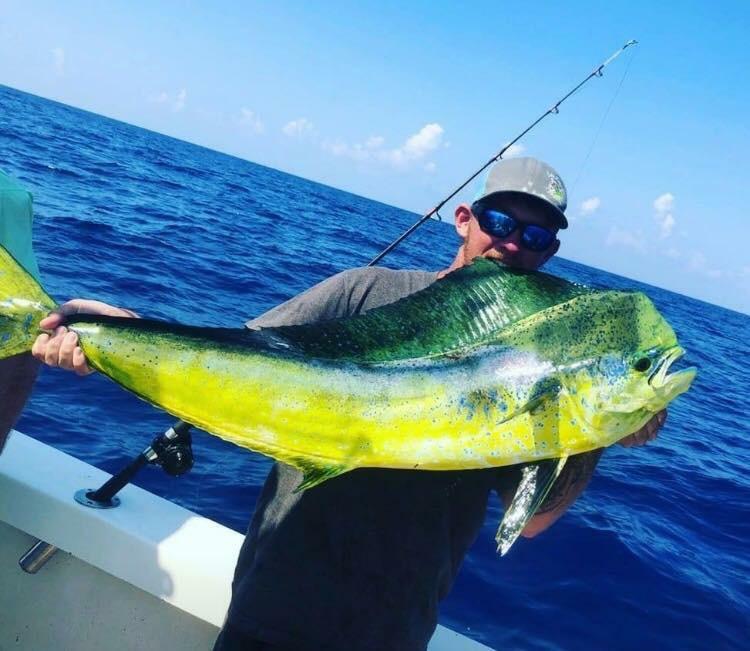 Whether you’ve got your heart set on taking a cruise in one of our Catamarans or you’ve got a V-hull Offshore boat in mind, we have the fleet of saltwater fishing charters that Galveston deserves. This fleet will meet your needs and exceed your expectations – guaranteed. Please note that we always try our very best to accommodate any and all special needs that you may have, so if you do have any special requests that require accommodations please let us know at the time of booking. All of our boats offer the perfect amount of shade, plenty of ice and even restroom facilities (depending on the vessel), allowing you to enjoy one of the best fishing excursions you’ve ever had – guaranteed! One of the great things about a Galveston Deep Sea Fishing adventure is that it’s perfect for just about everyone. Whether you’re male, female, young or old doesn’t actually matter – everyone loves the feel of the wind in their hair and a day out on the open waters off the coast of Texas. 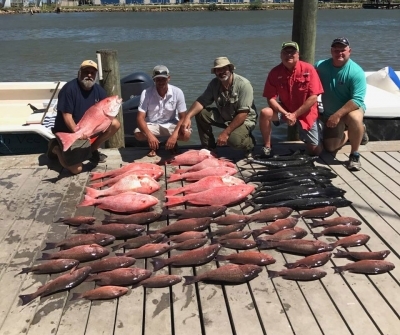 If you’re looking for a great way to catch your fair share of trout, redfish, red snapper, black drum, flounder or even shark – we’ve got you covered. If you just want to enjoy once-in-a-lifetime views that you’ll need to see to believe, we can make that happen, too. Please let us know your inquiry.